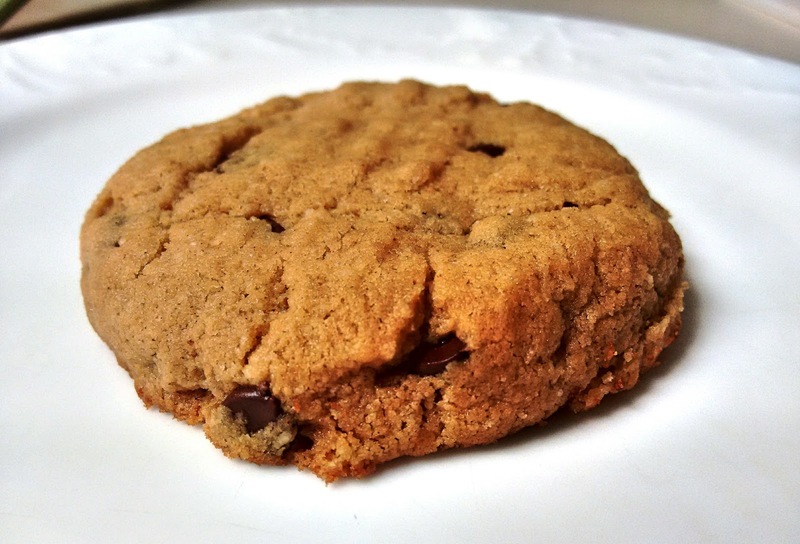 Peanut butter cookies are usually heavy and dry. These ones are light yet chewy, a cross between a chocolate chip cookie and a peanut butter cookie. I should note that just because a recipe is gluten free, does not mean that it is healthy...these cookies should still be considered an occasional treat! Personally, I love the flavours that coconut, almond or oat flours add to a cookie, so you can use them even if you don't require a gluten free recipe. In a large bowl, combine peanut butter, brown sugar and coconut oil. Mash together with a fork. Add eggs and vanilla and mix into peanut butter mixture with a fork. Add coconut flour, baking soda and salt to the bowl and mix until uniform. Fold in mini chocolate chips. Form dough into balls and evenly space on baking sheet. Cookies will expand, so leave ample space around each. Press down on dough with the back of a fork twice to flatten slightly. Bake for 8 to 10 minutes, until lightly browned. Remove from cookie sheet and allow to cool on cooking rack to set.